Time is all fizzle-crackley and unstable, in the dipple-dappled swamp. Her father used to call it the 'accident waiting to happen' place. The crows love it here. We arrive at the beginning, at dusk. An odd figure is returning to his lair. He seems weighed down with his bulging sack and his empty purse. How exciting, it is all coming together. 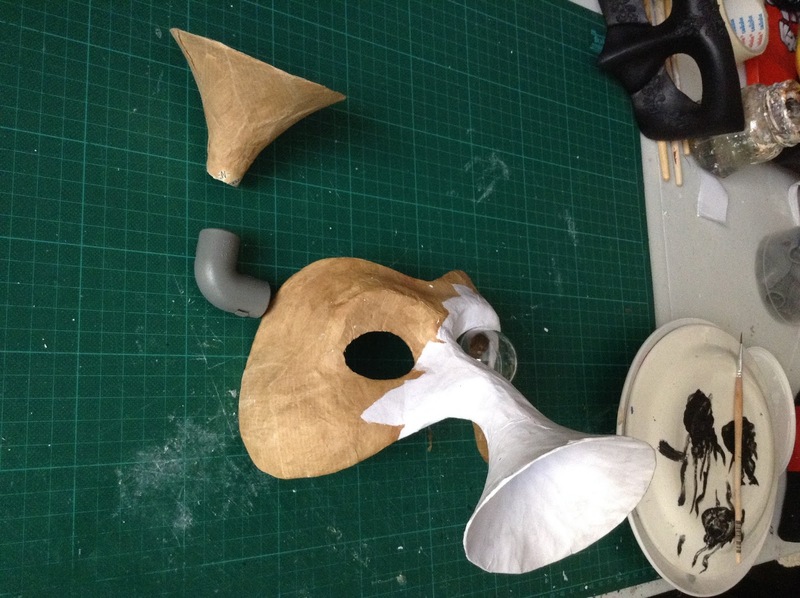 Thomas, from Theater Didymus, has sent me some progress photos of the wonderful mask he is making. Sewing With The Rain - on the 26th November at The Albion Beatnik.